You might live in an older style ‘Queenslander ‘ in Brisbane, or a contemporary home on the Gold Coast, wherever you are garden pots and planters are a wonderful addition to the garden, courtyard or even a balcony. Garden pots can also be used in the Brisbane garden as part of an innovative design. Used to offset the harshness of courtyard walls, you can use then in conjunction with plants or as a feature by themselves, all depending on the design of the pot itself. Terracotta pots and Planter Boxes Garden pots and urns including large garden pots which will withstand the heat and the rain are essential factors when choosing for outdoor areas. 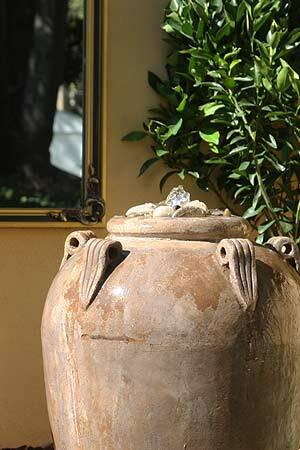 Very popular at the moment are natural looking sandstone garden pots.